What kind of winter rubbish do you have cluttering up your home? Winter rubbish would be all those things that you would normally use in the winter but have no plans of doing so this time around. Winter coats and boots that no longer fit are a perfect example of winter rubbish that is taking up valuable storage space in your home. The same could be said for any old sleds or snowboards that the kids have outgrown. How much space are they taking up in your garage? When you sort through it all, you’ll realize there is no reason to hold onto winter rubbish. That’s where Junk King Philadelphia comes into scenario. You want that clutter gone? Junk King is the company to get it done. Not everything you want to get rid of this time of use is for strict winter use. You could have an old bedroom set up in the attic or a couch down in the basement that you want to finally get rid of as well. Those are more perfect jobs for Junk King. The two man moving crew who will be handling your session won’t be challenged by carrying stuff up and down stairs. They do that every day. 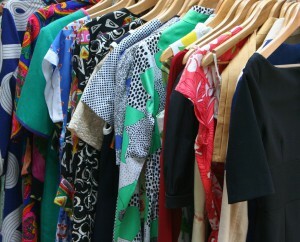 Going through your closets in search of those unwanted winter outfits might have you accumulating quite a big pile. When you turn it over to Junk King, you’ll be actually donating it to a charity. That’s what Junk King strives to do with the bulk of useable items they collect and it’s not just this time of year. That is Junk King’s policy all year long. As for timing, you could book a same-day pick up with Junk King Philadelphia today. It all depends on timing and whether one of the crews is close to your location. If that can’t happen, then there is a good chance Junk King can make it out to your place by tomorrow. Yes, they move that fast. Once all that excess clutter is gone, you’ll feel a lot better going into the holidays. If you want to get rid of your winter rubbish today, then call Junk King Philadelphia ASAP! This entry was posted in Bucks County Junk Removal and tagged Junk King, junk removal, winter rubbish on November 30, 2017 by Junk King. Last updated December 3, 2017 .